Tufts at Tech, Worcester Technical High School. 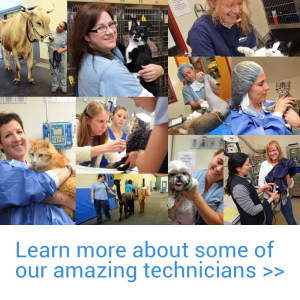 In April of 2012 the Cummings School partnered with Worcester Technical High School and launched the Tufts at Tech Community Veterinary Clinic which provides compassionate low-cost veterinary care for family pets within Central Massachusetts’ underserved communities. 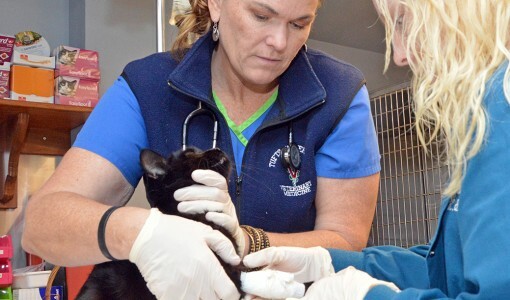 Although Patty is a relative newcomer to Tufts at Tech and the Worcester Technical High School, she had a lengthy career, from 1994 to 2004, at the Foster Hospital for Small Animals where she held positions in the Blood Bank, Emergency/Critical care and Oncology. 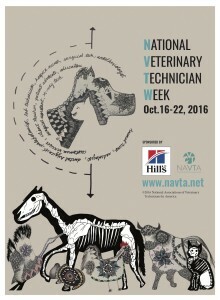 She thrives in an educational environment, having attained not only her Veterinary Technician certification, but also that of a Certified Veterinary Practice Manager (CVMP) and an Equine Massage Therapist (CEMT). As if that weren’t enough, Patty is a certified chapter 74 Animal Science Teacher, holds a Bachelor of Science Degree and a Master’s in Education and is currently finishing up her Doctorate in Education. When Patty isn’t teaching or nursing, she enjoys horses and “just having fun” with family and friends. In addition she spends time with her four pets: a dog named Goat, a cat named Porkchop, a Guinea Pig named Riblet and a mouse named Pip.